Last week, Bidtellect held its annual company all-hands meeting in Delray Beach, Florida. We managed to bring together all of our employees from around the country for a jam-packed, informative three days – with a little fun, of course. One thing is for certain – and it hasn’t changed since my first day at Bidtellect – I love this company and I love the people I work with. Here are the top ten reasons I’m proud to be a Bidtellectual. 1. Our CEO is Awesome. Our conference kicked off with a lovely party hosted by our CEO… at his home. How many CEOs do you know that would open up his or her home to the entire company? Talk about generous. Talk about awesome. 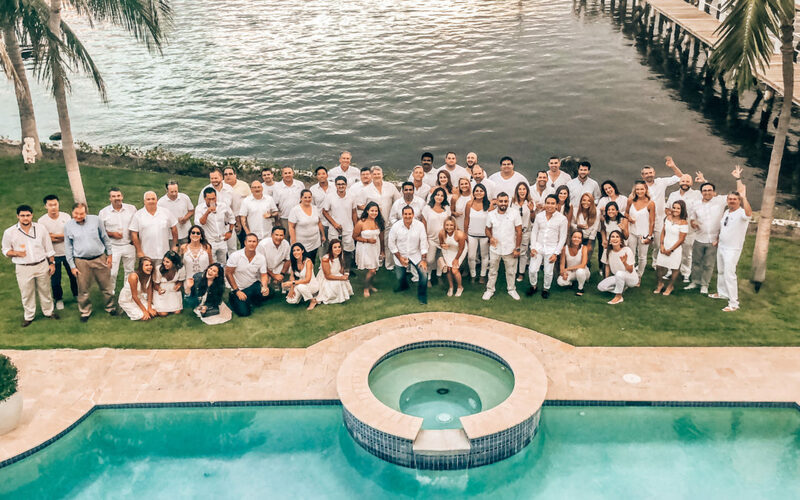 At any given time, every employee knows exactly how the company is doing – from new sales opportunities to tech planning to our marketing endeavors, we are well-informed on the status of each department and the trajectory of the business. We work with some of the most brilliant people in the business – and we’re paving the way to the digital advertising future. There’s no greater excitement that comes from walking into a workplace every day where you know you’re going to learn something new. Not only does Bidtellect support a healthy work/life balance (hello, Responsible Adult Vacation Policy! ), but from the minute you start at Bidtellect, you are part of one big work family, too. Many make it a priority to pick up kids from school, make it to family events, and leave at a reasonable hour to spend time at home – and my Bidtellect family respects that. It’s rare for just one person to get a shout out during our weekly meetings. When Bidtellectuals have a project to tackle, we collaborate in groups or pods to get things done as a team. I work in a department where my creativity is explored, supported, and challenged every day. In this business, we are constantly exploring new and creative ideas on how to package our products and solutions, as well as provide creative custom solutions for our customers. Our tech team is constantly innovating. Each week they make updates to our platform, improve the way it works, constantly check the systems in accordance with quality standards, and create the most advanced bidding and placements technologies out there. 8. WE LOVE OUR CUSTOMERS. We take a customer-centric approach to everything we do in every department. We even had a “Shark Tank” team building exercise last week to figure out how we can improve and do EVEN MORE for our clients. Watching each team work together was inspiring and the ideas that came out of this were incredibly unique. Bidtellect understands the importance of a balanced, representative workforce – and just under half of all employees are women with roles in leadership, director, and C-level positions. Did we mention we have fun doing it? From post-work dinner cruises and themed potlucks, we know how to have a great time. Missy Steiner is the Sr. Director of Marketing at Bidtellect.